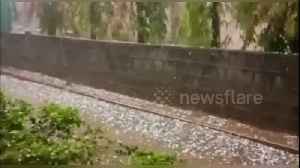 As icy, lethal flood waters fed by rains and melting snow recede in Nebraska and Iowa, leaving destroyed homes, drowned cattle and swamped farmland, Midwest states downstream were set on Thursday for a..
▶ Videos for "Flood Waters"
Unseasonal rain and hail wreaked havoc in central India today (April 15). 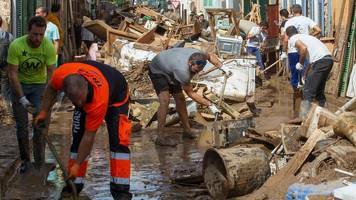 These good samaritans formed a human chain to rescue a family that was swept away in flood waters. 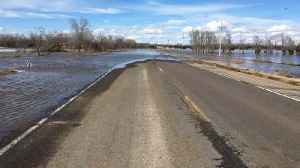 Rising flood waters are not stopping two dedicated hospice nurses from delivering to their patients. 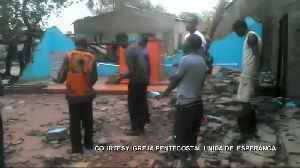 Churchgoers in Beira, Mozambique gathered to sing and pray on Sunday in what was left of their church, Igreja Pentecostal Unida de Esperanca, which was destroyed by Cyclone Idai. 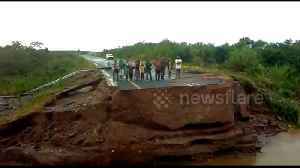 Rough Cut (no reporter..
A major road in the vicinity of Beira, Mozambique, has been swept away by surging flood waters caused by Cyclone Idai. 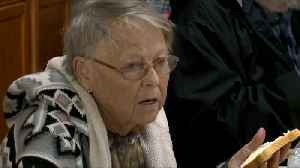 Amy Vaughan's long weekend ended Tuesday with a sigh of relief. 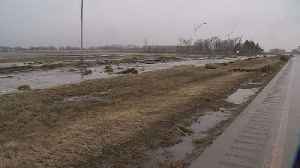 As flood waters rose on Thursday, she had to evacuate with the help of a neighbor at Valley Green mobile home park, Mary McGuire reports..
As floodwaters recede, we're starting to see how area roads have been impacted, and some still aren't safe. 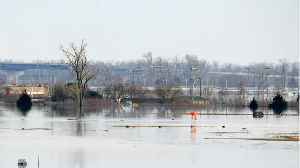 Reuters reports Vice President Mike Pence is due to travel to Nebraska on Tuesday to tour the devastation left by floods in the Midwest which have killed at least four people and caused hundreds of..
Spring floods could leave unprepared Kansas City homeowners with wet basements - or worse. 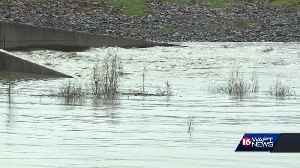 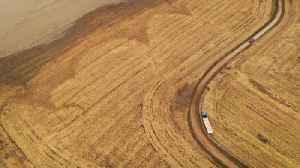 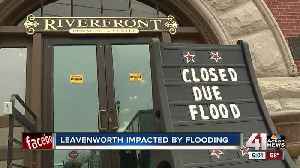 Coloradans are coming together for Nebraskans as flood waters rise. 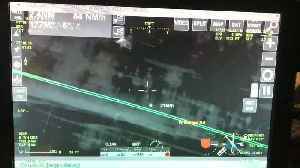 Members of Nebraska’s National Guard rescued two people by helicopter who were stranded on top of a pickup truck after their vehicle stalled in floodwaters in Elkhorn, Nebraska, on March 16. 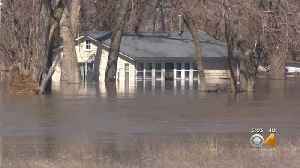 Omaha..
Across southeastern Wisconsin, people are picking up the pieces after flood waters flowed through their towns. 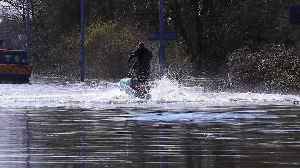 As motorists faced misery in the flood waters of Castleford in West Yorkshire today (March 17), others embraced the flooding by jet-skiing down the road. 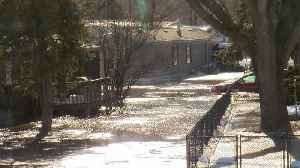 Lots of snow means lots of water. 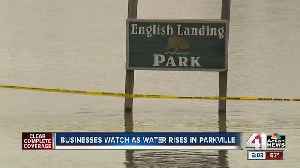 Rising flood waters turned the Northern California community of Guerneville into an island on Wednesday after authorities ordered thousands of residents to get out or risk being stranded for days. 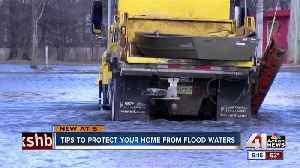 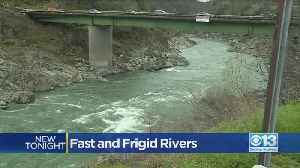 "Flood waters may be deep and fast flowing in these areas. 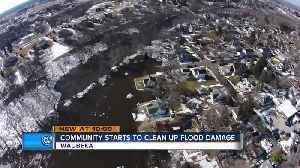 Residents are strongly urged to take action now." 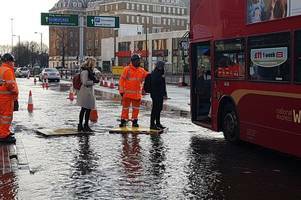 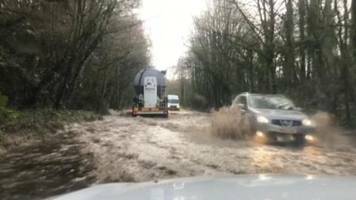 Heavy rain has been causing localised flooding and travel disruption. 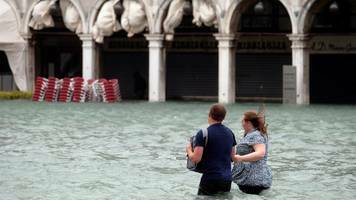 Images of Venice under flood waters as at least eight people are confirmed killed by the storms across Italy. 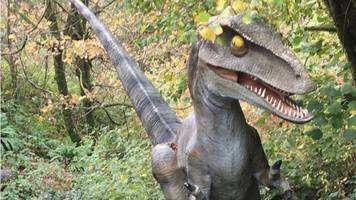 The model is believed to be heading for the sea, after being swept away by flood waters in Dan-yr-Ogof. 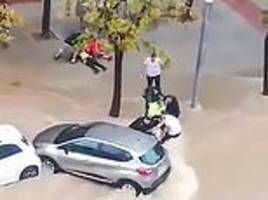 According to reports, a 21-year-old woman was crossing the street when a motorbike that was being carried by the onrushing water hit her and trapped her under a parked car in Tarragona, Spain. 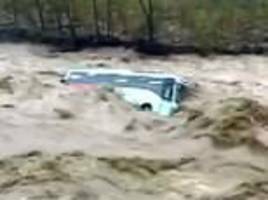 Footage captured the empty bus being washed away by raging waters of Beas River in Himachal Pradesh in northern India following heavy rain and flash flooding. 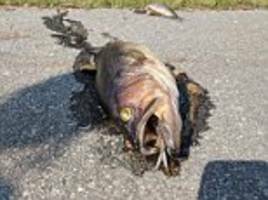 Hundreds of dead fish have been washed off a North Carolina highway by the fire department after they were left stranded when Florence flood waters receded. 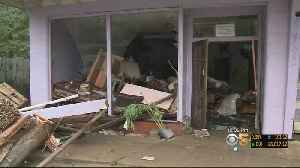 Nearly all rivers and waterways in North and South Carolina will crest Sunday, but most will remain at dangerous flood levels for days to come, the U.S. National Weather Service warned, more than a.. 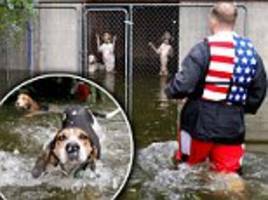 Viral video shows the moment a hero volunteer rescues six dogs that were abandoned in Leland, North Carolina in a locked cage. 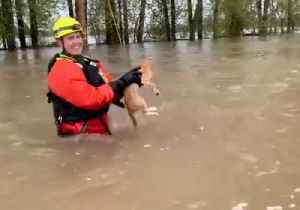 The dogs stood on their hind legs to avoid drowning in flood waters. 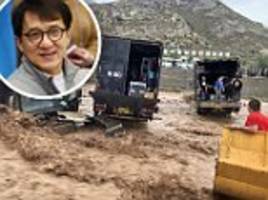 The Hong Kong martial arts icon, 64, and his crew had to be saved after their vans had got trapped in a massive mudslide last Friday. 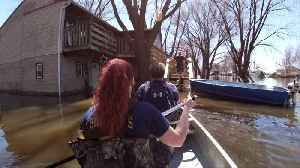 Chan described the scary experience through a social media post. 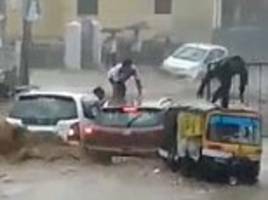 Shocking footage shows the moment four men escape a flooding car before it's swept away by climbing out the windows seconds before it's swept away. 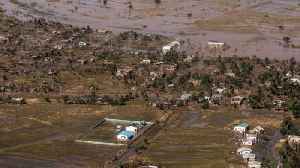 There was heavy rainfall in Haldwani, India. 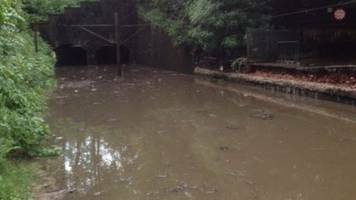 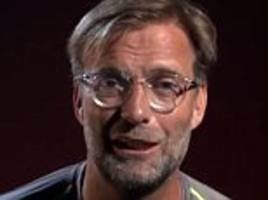 Twelve boys and their soccer coach rescued from a flooded cave in Thailand planned to explore the cavern complex for only about an hour before treacherous flood waters rose to trap them for more than.. 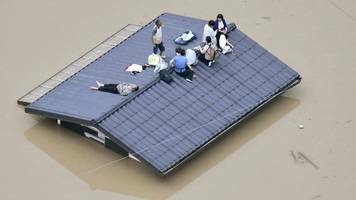 The country's prime minister, Shinzo Abe, says the rescue effort is a "race against the clock". 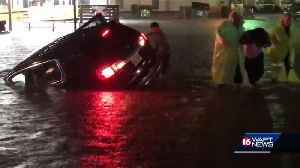 (Reuters) - Heavy showers drenched the Texas Gulf Coast on Thursday and flood waters continued to rise after residents fled their homes and crews conducted numerous water rescues in towns still..
BBC Local News: Glasgow and West Scotland -- Services are disrupted after the line at Dalmuir is damaged by flood waters that caused a wall to collapse. 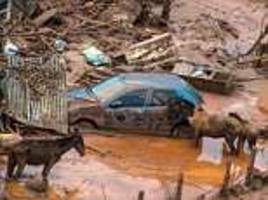 Nineteen died and towns were inundated with flood waters after a dam, designed to hold back mine waste, burst on November 5, 2015, causing Brazil's worst ever environmental disaster.